Sound legal advice on key issues such as possible right to terminate, damages, mitigation, loss. We have significant and wide ranging experience of breach of contract issues. Such issues are rarely as straightforward as they seem and making the wrong move or decision, even in circumstances where you are an innocent party, can have catastrophic legal consequences. Failure to provide services either in full, to agreed standard or on time. If you need advice on a breach of contract claim please do get in touch. It is a feature of many contract disputes that one or both of the parties will claim that the written contract does not deal with all the agreed terms or that what was agreed in writing was varied thereafter. In this context, it is important to recognise the difference between business to business contracts and business to consumer contracts (see below on this) and to bear in mind that the law does in some circumstances allow terms to be implied into contracts (and especially employment contracts), for a variety of reasons. With contracts between business and consumers there are some statutes which specifically imply terms into such contracts, regardless of what a written contract provides, in order to protect consumers. Statutes which any business dealing with consumers need to know about are the Supply of Goods and Services Act 1982 and the Sale & Supply of Goods to Consumers Regulations 2002 and the Unfair Contract Terms Act. With contract disputes between 2 businesses the courts are generally far more reluctant to imply terms, for the simple reason that businesses are expected to be in a better position to negotiate, may well have taken legal advice before finalising the contract and partly as a matter of legal policy. Certainly, the bigger the businesses involved in a contract the less likely a court will be to interfere in the dispute. Having said this, the law may imply terms if necessary to create business efficacy or where the parties have acted in a way which has clearly indicated a change to the terms originally agreed. If you need a solicitor for a breach of contract or commercial dispute, please get in touch with David Rosen, who is highly experienced and a highly credible litigation solicitor. In the event of a dispute, the English courts can imply terms which differ from the written terms where either or both parties conduct is inconsistent with the written agreement. Another way in which terms may be implied by law is, where a contract is silent or unclear on certain issues, whether there are clear standards relating to that issue found in similar contracts within the industry, sector or type of business dealing in question. An example might be construction contracts where there are clearly defined industry standards for certain contractual issues. A very common mistake is with a commercial or contract dispute is to assume that, having a contract in writing is the whole story and that, if the other party does not stick to the written contract, you will almost certainly succeed with a breach of contract claim. Contracts get varied in any number of ways – such as where the parties do not stick to the terms, by subsequent conversations or communications by email, or by a course of dealings inconsistent with the original terms or waiver of a breach. It is common for a defendant to a breach of contract claim to raise an allegation that the contract was varied and all too easy to say there was a verbal conversation to change the terms. At the very least, this can cause delay and mean it will be very difficult, for example to get a summary judgment from the court, since evidence of an alleged verbal variation would have to be tested by cross examination at trial. Is there a right to terminate the contract based on fundamental or repudiatory breach? The key issue to understand is that most breaches do not give the right to immediately terminate. Typically only a fundamental or repudiatory breach will allow the innocent party to cancel the contract. Some contracts make very clear what breaches constitute acts which give the other party the right to terminate. With other breaches of contract, it is generally necessary to allow the party in breach an opportunity to correct, or remedy the breach. Failure to give the party in breach the opportunity to remedy the breach may result in the initially innocent party then being in breach with severe consequences. If a breach of contract cannot be or is not remedied the idea of damages in a contract dispute under English law is to put the innocent party in the position he/she/they would have been in had the breach not occurred. Whilst with some contracts it is possible to claim damages for loss of enjoyment and/or inconvenience, English law generally is loss rather than compensation based. Often contracts also includes restrictions on liability or attempts to completely exclude liability. The interpretation and effect of such clauses tends to be very different if the contract is between a business and consumer as opposed to business to business. an injunction – so that the party in breach must take steps to remedy it or refrain from causing further damage – an example would be a breach of a restrictive covenant in an employment contract. specific performance – where the court orders the party in breach to perform the aspects of the contract it has failed to do – such orders are sought in the unusual situation where parties exchange contracts for a property but for whatever reason the seller fails or refuses to complete on the sale. In that case, the innocent buyer will often want the property, not damages, although damages may also be claimed. Another aspect of responding to a breach of contract by the other party is to be careful not to waive the breach. This can occur by delay or other conduct and may result in a finding by a court that rights to take action have been lost. See our in-depth page on this issue for further assistance. In some situations, where there is a longstanding or otherwise fruitful relationship of value or where the innocent party has other business reasons for being unhappy with the contract, it may be possible to use the breach as a tool for generally renegotiating the terms of the contract in a more advantageous way. This can make sound business sense but does require a careful approach so as to avoid the possibility of waiving the breach. In a contractual situation, English law provides that the innocent party does have a duty to take reasonable steps to minimise loss. It is worth noting that under English law the burden of proof is on the Defendant to prove that the innocent Claimant has failed to mitigate loss. Get in touch with our breach of contract solicitors for further advice, information or a steer on your legal position. 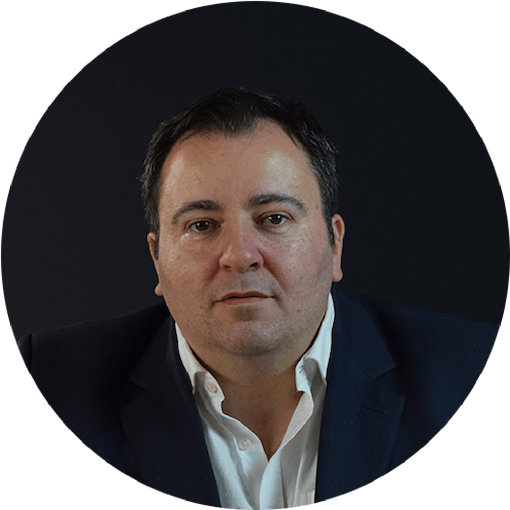 An excellent technical lawyer (David has been accredited in the prestigious Super Lawyers publication in the past) but also an excellent negotiator, David has a reassuring track record and fights for clients with a passion. He also lectures part-time as a Professor of law at Brunel University. If you have a contract dispute, you ought to get in touch with David.